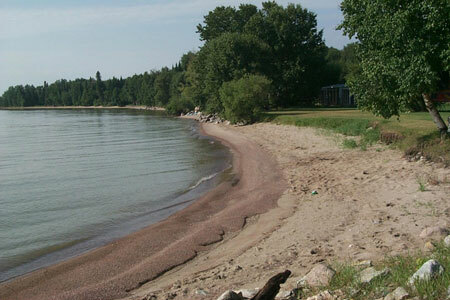 Located on the west shore of Washow Bay on Lake Winnipeg, Beaver Creek Provincial Park encompasses a two kilometre long stretch of land, bordered by Provincial Road 234 in the west, and Lake Winnipeg in the east. The Beaver Creek area was developed for recreational use by the province in the mid-1950s. The site included a campground and day-use facilities, as well as two cottage subdivisions. Initially established as a provincial recreation area, the site was designated as Beaver Creek Provincial Park in 1961. The small rustic campground is self-registry and has up to 10 basic service campsites. Facilities in the campground include a day-use area, boat launch, small beach, picnic shelter and non-modern washroom. Located approximately 192 km north of Winnipeg, travel north on Hwy 8, to the junction of Provincial Road 234. Continue north (approximately 36 km) on PR 234, until you reach Beaver Creek Provincial Park.